The BV1000 Salon Tanning Mist Filtration Booth from BenchVent designed to reduce over-spray in beauty salons and spray tanning shops for a cleaner and healthier working environment. What’s included with the BV1000 Spray Tan Booth? 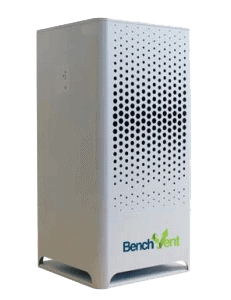 How does the BV1000 help with Salon Fume Extraction? 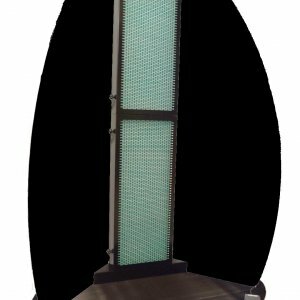 The BV1000 spray shield vastly reduces over-spray and particle deposits; this is essential for a clean, healthy salon environment. 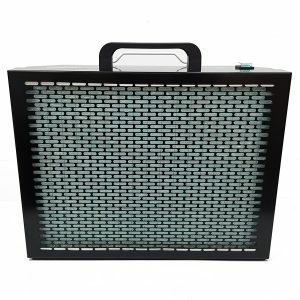 It’s been designed to be used in a range of salons and is equally at home in smaller establishments as well as busy salons with a high volume of spray tans carried out on a daily basis. The unit is ideally suited for positioning in a corner to maximise space. 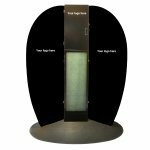 Why purchase a BV1000 Spray Tan Extraction Booth? All BenchVent spray tanning filtration and extraction systems carry a lifetime warranty, are quiet in operation and can be used in even the most demanding of salon environments. It’s space saving design means this free standing tanning booth can be sited in beauty room corner. Once power cables are connected the booth is simply switched on and off via a latching foot switch. How does it filter spray tan over-spray and particulates? 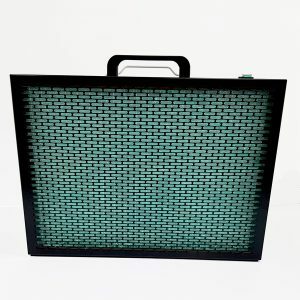 The particulate (intake) filter is a three stage graduated fibre filter with a high capacity for longer life . The final filtration stage absorbs any residual moisture. Through the process of filtration, absorption and dilution, technician / beauty therapist and client exposure to airborne tanning over-spray is vastly reduced and general salon cleanliness hugely enhanced. Demonstrating adequate control of the risks to the health of employees students and the general public, from dusts, powders, mists, fumes and vapours is the fundamental requirement of the Control of Substances Hazardous to Health (CoSHH). For LEV information for employers visit the HSE website. Steel construction of central filtration tower, finished in black powder coating and complete with materials storage cabinet –- particulate and moisture filters – incor-porating 3 x external rotor motor axial fans, brushless, UL, VDE and CSA approved – sealed electrical wiring and external foot operated switch – white aluminium com-posite side panels – ribbed rubber mat.